Are They Burning the Bible in China? Moscow, June 13, Interfax – Orthodox believers of Hong Kong each Tuesday pray so that the Mother of God will bless and protect the Church in China. “Believers from Russia also join us. 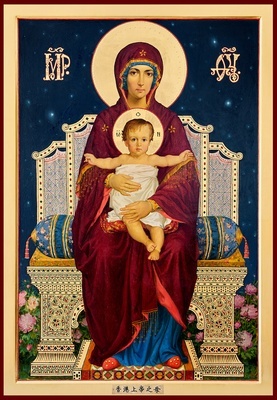 Please, send the names of your relatives and friends for prayers before the Hong Kong icon of the Mother of God,” rector of Sts Peter and Paul Church Archpriest Dionisy Pozdnyaev wrote in a social net. In spite of revival of Orthodoxy in China, de jure Orthodox mission in China does not exist, for historical reasons the system of Orthodox parishes was destroyed: there is no Orthodox education, people lack serious sources of gaining spiritual experience and liturgical life, Father Dionisy earlier wrote in missionary notes.